Wes Anderson’s new film Isle of Dogs tells the story of a twelve-year-old boy searching for his dog. The movie is set twenty years in the future, when Japan has become overrun with dogs and dog-specific diseases. Mayor Kobayashi sends all dogs in the country to Trash Island, which is exactly what it sounds like. But all may not be what it seems. Animation is a passion of mine, and stop-motion animation is a seriously underappreciated art form. Isle of Dogs’ animation, Japanese setting and focus on dogs made it a must see for me, although it may not be for everyone. Like many Wes Anderson productions, Isle of Dogs has an impressive cast. Bryan Cranston, Edward Norton, Bill Murray, Jeff Goldblum, Scarlett Johansson and Tilda Swinton voice some of the main dogs in the film, while Frances McDormand, Greta Gerwig and Yoko Ono are among the human cast. However, most of the humans speak only Japanese and are voiced by actors like Ken Watanabe and child actor Koyu Rankin. This film has really creative art direction. The detail on the characters, particularly in the faces, is staggering, and when something violent happens they don’t try to downplay it. There are some legitimate gross-out moments in the film as well, and while I’m not the biggest fan of that sort of thing, it is impressive to see them do it in stop-motion animation. I think a couple of them were gratuitous, like when they kill the crab, and I wasn’t crazy about the dog’s ear being ripped off in the scuffle near the beginning. 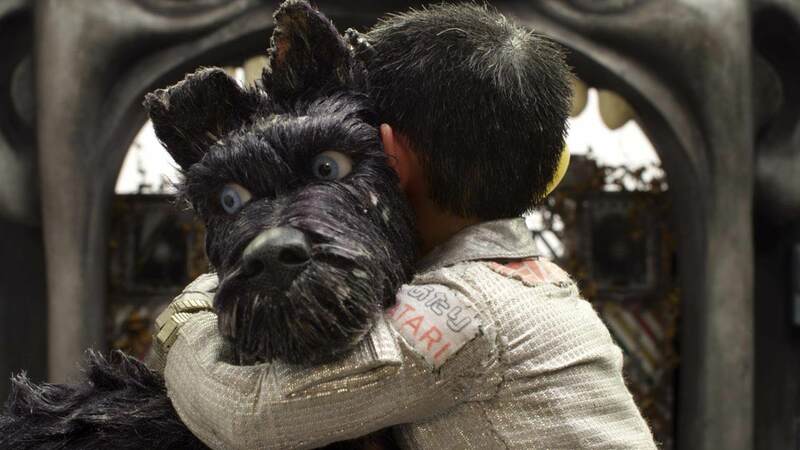 Going into Isle of Dogs, I was concerned that they might portray cats in a negative light, being that it’s a film about dogs; movies love to pit the two species against each other. But it turns out cats only play a small role in the story; the Kobayashi dynasty loves cats and they each have one, but the cats don’t speak or show any agency. This doesn’t affect the film’s quality but, honestly, I think people would consider exiling cats before dogs. Most people love dogs, whereas cats have a reputation for being aloof and grumpy. I almost would have liked to know what some of the cats were thinking, but there’s plenty going on in the movie as is. The film’s human protagonist, a boy named Atari, is absolutely adorable. His relationship with the dogs is really sweet, most notably with Bryan Cranston’s Chief, who ultimately becomes his pet. Chief’s journey and relationship to Atari is my favorite element of the film. Chief starts out as a stray and one of the meaner dogs on the island; he doesn’t take orders from anybody, and even when one of the other dogs proposes a plan, he insists that they take a vote. At first he thinks they should eat Atari rather than help him, while Rex, King, Boss and Duke want to help the boy from the start. Atari is trying to find his lost dog Spots. Spots was given to him as a bodyguard and Atari was instructed not to play or cuddle with him; nonetheless, the two grew to be inseparable. That is, until Atari’s uncle the mayor exiled Spots to encourage the people of Megasaki to do the same to their own dogs. It isn’t until they’re on the way to find Spots and everyone gets separated that Chief really bonds with the little pilot. Atari gives him a bath, revealing a white coat with black spots, exactly like Spots. When they do find Spots, he’s the leader of a pack of dogs on Trash Island and a father-to be, and as such is unwilling to go back with Atari. Chief snaps at Spots (rightfully so) and Spots reveals that Chief is his younger brother. Ultimately, Spots stays with his family and pack, while Chief takes his place at Atari’s side. Isle of Dogs definitely has a political undercurrent, with the child protesters and exile of all dogs, raising the question of what should be done in cases of public health crises. I’m sure tons of think pieces will compare Kobayashi to every politician alive and dead, but I don’t think it draws a direct parallel to any one person or situation, and I’m glad it doesn’t. Politics is all fine and good but it gets tiring after a while, and it’s fun to watch a movie without always having it preach to you about some current or past situation. The dialogue flows well and is very funny in parts. There are some touching lines too, but I like that they show the emotion in the characters’ faces. It can be more effective to see someone’s reaction than to hear them explain it, and film is a visual medium. One of the great things about animation is that there are no limitations. Anything from a person’s facial expression to a planet exploding can be given the same amount of time and be taken just as seriously, so when you have talking dogs discussing how to help this boy it doesn’t take as much suspension of disbelief as it would in live-action. I also really like when a film is made in one format but has sequences done in another. Every time they show people on TV they’re depicted in traditional, hand-drawn animation as opposed to the stop-motion used in the rest of the movie. It’s very fluid and pleasant, even if it’s only featured a couple of times; that shows the amount of effort they put into even the most minute details of the film. 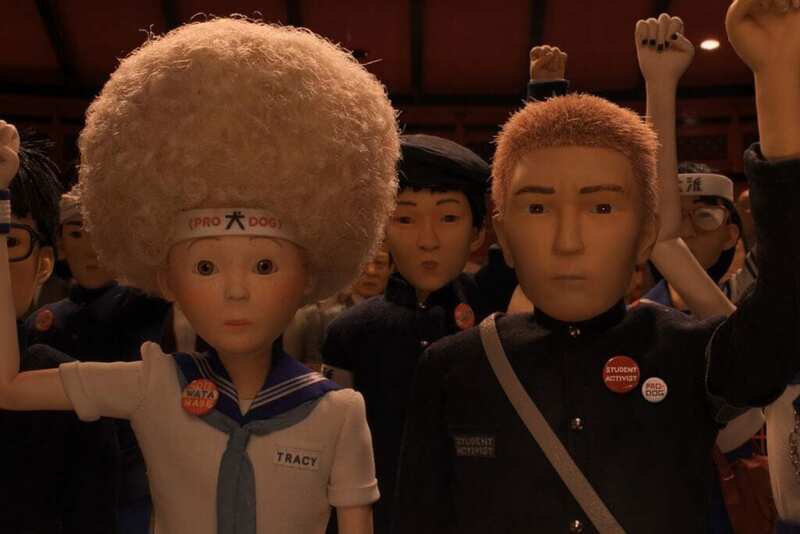 Overall, I really enjoyed Isle of Dogs. You can see how much care went into the production in every aspect of the movie: it’s gorgeous, it’s weird, the acting is good, and the musical score is divine. Being that the film is stop-motion and a lot of the dialogue is in Japanese, your mileage may vary. But I’m very impressed with it and would definitely recommend it. 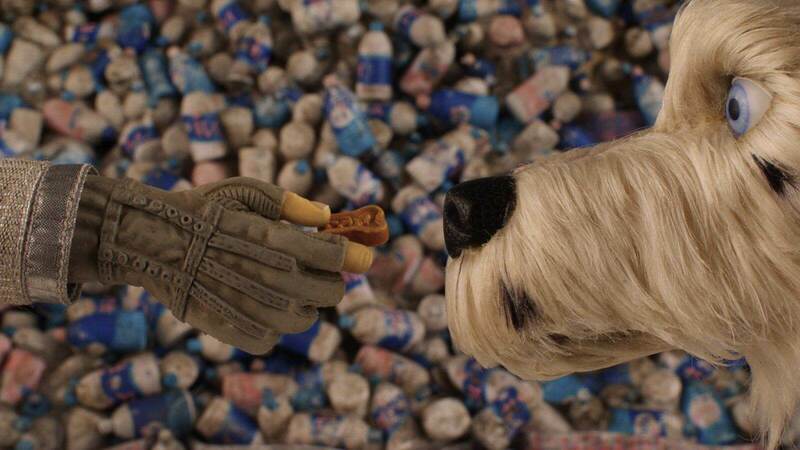 Overall, I really enjoyed Isle of Dogs. You can see how much care went into the production in every aspect of the movie: it’s gorgeous, it’s weird, the acting is good, and the musical score is divine.